I have a lot of sympathy for the government employees, their families and all the government contractors who are suffering unnecessarily during the longest government shutdown in US history. How do we get unstuck so people can carry on with their lives again? I’d suggest to Democrats to insist on a permanent solution for the dreamers aka DACA children. And ideally there’d be significant progress towards proper legal status for all the good people that just want to apply themselves and are already part of our society. Let’s deal with the (expired) protected status for the 200,000 El Salvadorans in the US as well and give them citizenship. Yes, all the border professionals and house representatives in border districts agree that a wall is mostly ineffective to secure our borders. It’s not just sending a bad message to our neighbors and the rest of the world. It’s a waste of money. So, why should we let “him” have it? Because we could also tear it down again. Walls have been built before and a little research will show that most of them will eventually disappear again. The most famous example would be the inner German border with the wall surrounding West Berlin,. 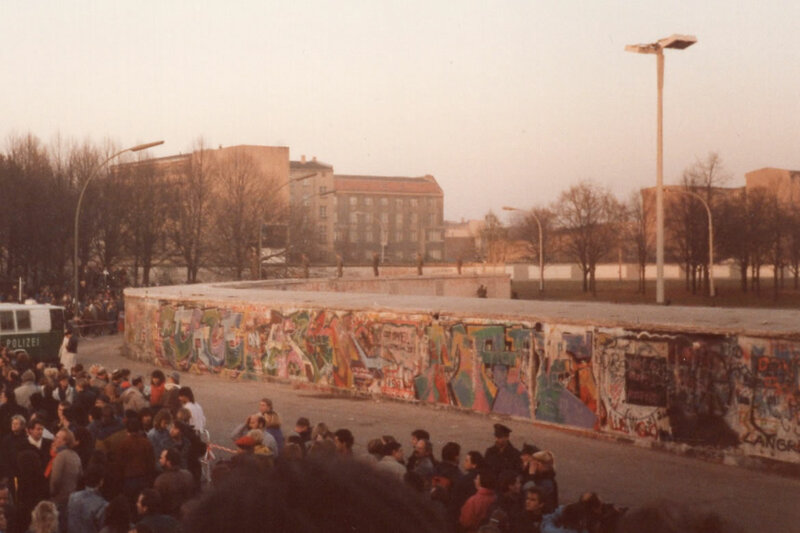 I was there in November 1989 when the wall came down. It was the biggest part I’ve ever attended. I made friends back then that I’m still in touch with. So if the wall actually gets built and there is a genuine interest in getting rid of it again then we’d have to get to work and amass enough support on both sides to get rid of it again. We could auction pieces of the wall and recuperate (part of) the cost of building it in the first place. Owning a piece of that wall could serve as a statement that you were part of tearing it down. I’d want a piece if that. We could have ceremonies where people come together and celebrate the opportunities of being good neighbors opposed to the current stigmatization. Let’s be realistic: that will take time and lots of dedication. The sentiment is either there or not. Without initiative the silly wall shall stand with all its tunnels, holes and other means to cross it that will inevitable emerge.